Looking for summer work with great pay, great hours and fun with kids!! If you're 16 years or older, complete an application for a chance to become part of the 7-week Dover Recreation Summer Program! 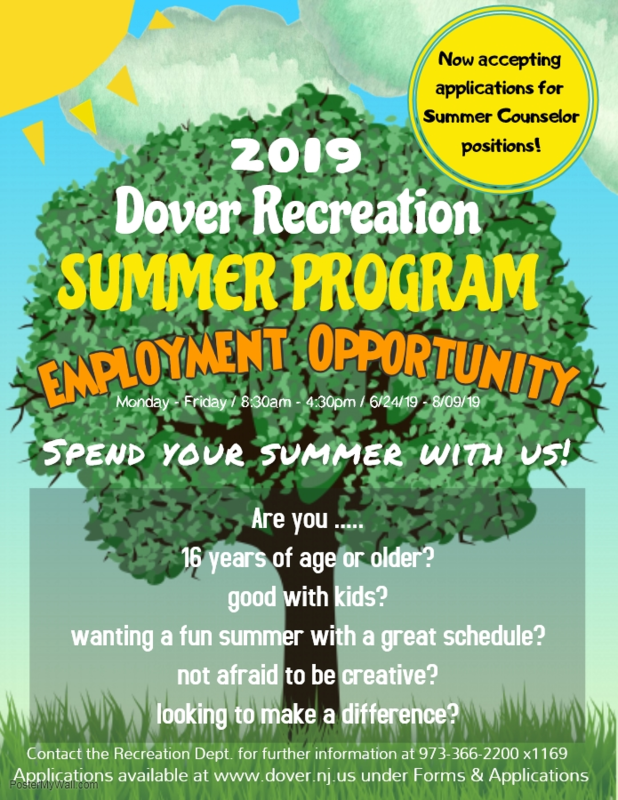 The Dover Recreation Department is now accepting applications for employment opportunities during the 7-week Summer Program. The Summer Program starts Monday, June 24th through Friday, August 9th from 8:30 am to 4:30 pm. Applications are available online at www.dover.nj.us under Forms & Applications (scroll to Recreation) or click on the link below. Contact the Recreation Office for further information at 973-366-2200 x1169.